Focussing on the problems of change and resistance to change that mark the African sub-continent, this book examines Africa's place in the world from earliest times. It considers the nature of its peoples in their prehistoric development, the ways in which their cultures were oriented, and the ways in which these cultures guided their reactions to European ideas. 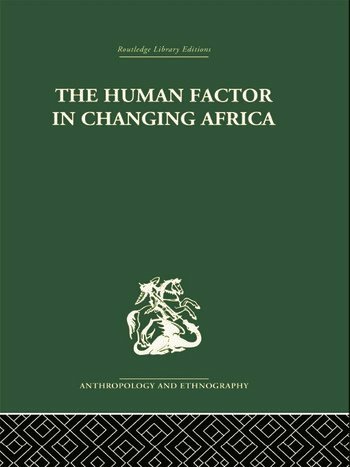 It also assesses the human responses to industrial, technological and economic changes and the re-discovery by the Africans of African culture.